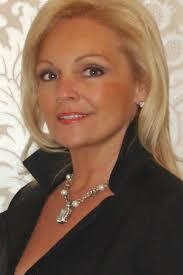 Janis Annese, owner/broker, brings over 30 years of dedication and professionalism to Signature Premier Properties. As your REALTOR®, she not only delivers her passion for helping people but her unique and special gift for design and architectural details. Her vision will enable you to turn an ordinary home into your “dream home.” She has demonstrated this many times. Janis excels in all aspects of real estate, her steadfast work ethic and exceptional negotiation skills will provide you with a complete approach to your buying or selling experience in order to achieve the best possible results.